Materials: food, chemistry, petrified, colorant and industrial sludge. 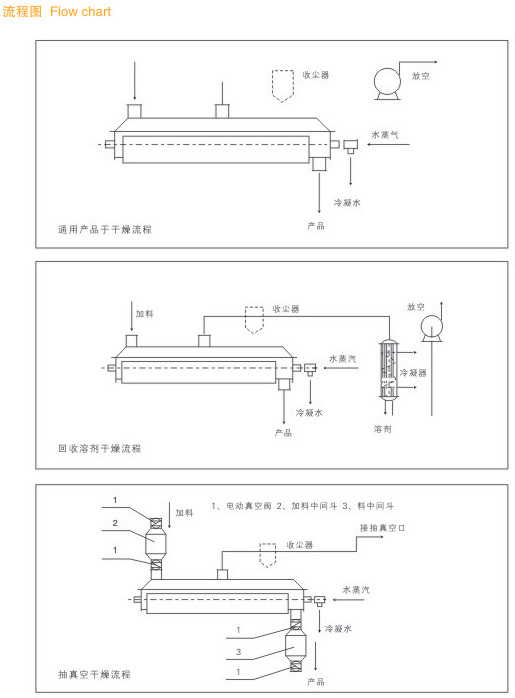 Applications: adopts indirect heating; applied to chemical plants where toxic and harmful matters will be produced after chemical reaction between materials and hot air. Hollow paddles are densely placed on hollow shafts. Hot media flow to paddles through hollow shafts. Heat transfer area is large in unit effective volume. The temperature of hot air is from minus 40 degrees Celsius to 320 degree Celsius. The hot media can be steam and liquid, such as hot water and heat conduction oil. This system adopts indirect conduction heating, so there is no heat brought out. All the heat is used to heat materials. A little amount of heat loss is caused by heat radiation of insulating layer of machine. 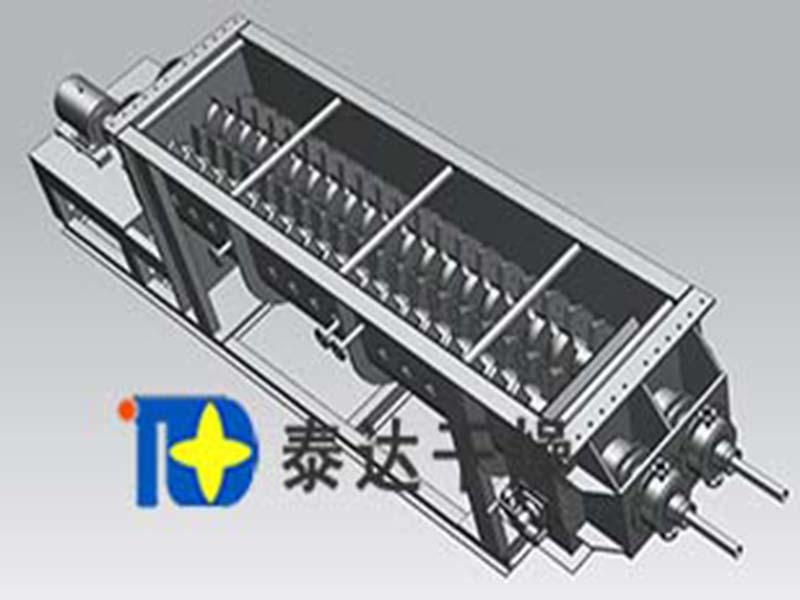 Wedge paddle heat transfer area holds function of self-cleaning. Sheet wash is carried out by relative motion between material pellets and wedge, which can clean the materials attaching to the wedge. Then, heat transfer area can be kept clean. 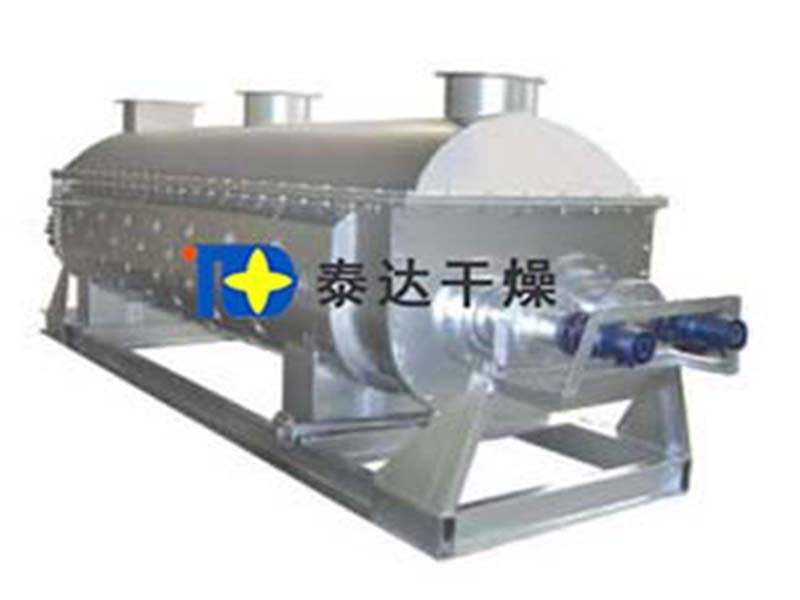 The shell body of paddle dryer is W type. Two to four mixing shafts are installed in shell body. There are seal end cap and upper cap installed in shell body to avoid dust leak and solvent vapor of collected materials. There is a back plate installed in outlet to guarantee material level height and make heat transfer area covered by materials so that to play its role fully. Hot media flows to shell body jacket and hollow mix shaft through rotary joint. 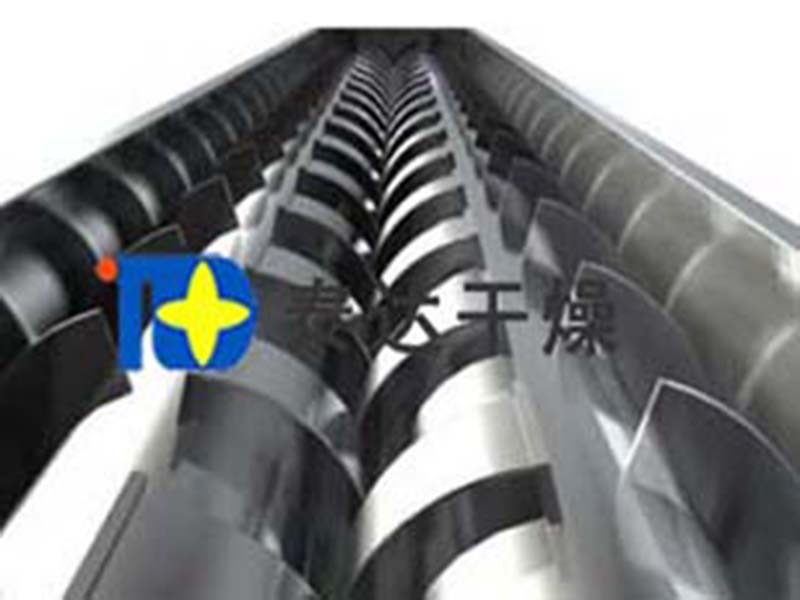 The structures of hollow shaft are decided according to the types of hot media so that to guarantee best heat transfer. Low energy consumption; indirect heating; less heat loss; insulation layer is set on out wall of machine; only 1.22 kg steam is needed for evaporating 1 kg water. 3. Wide range of applications; use various hot media; it can not only dispose heat sensitive materials, but also can dispose materials which need high temperature. Media types: steam, heat conduction oil, hot water and cool water; can achieve both consecutive operation and discontinues operation. It can be applied to many fields. 4. Less pollution to environment; no use of carried air; less evaporation capacity of material solvent; easy to dispose; closed circuit cycle is adopted for materials with pollution or for situations where solvent needs to be recycled. 6. Stable operation: owing to special compress and expansion stirring function of wedge paddle, materials can get full contact with heat transfer area; in axial interval, the temperature, moisture and mixture grads of materials guarantee stable process. l Paddle dryer has been successfully applied to food, chemistry, petrifaction, dye and industrial sludge. 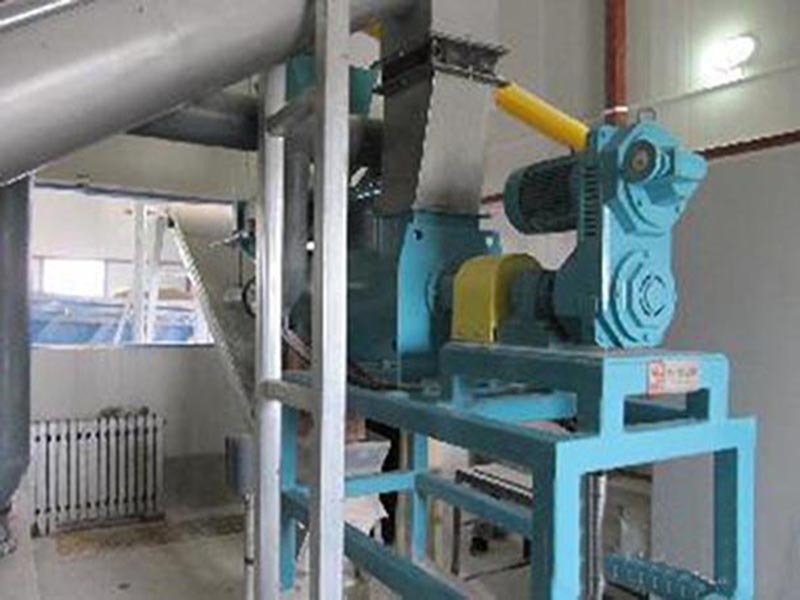 The characteristics of heat transferring, cooling and mixing make equipment finish following operations: incineration (low temperature), cooling, drying (solvent recovery), heating (melt), reaction and sterilization. As heat transfer area also, mixing paddles can enlarge heat transfer area in effective unit volume and reduce treatment time. Wedge paddle heat transfer has the function of self-cleaning. Compress and expansion stirring function can realize uniform mixing. The movement of materials forms a plug flow. In axial interval, the temperature, moisture and mixture grads of materials guarantee stable process. 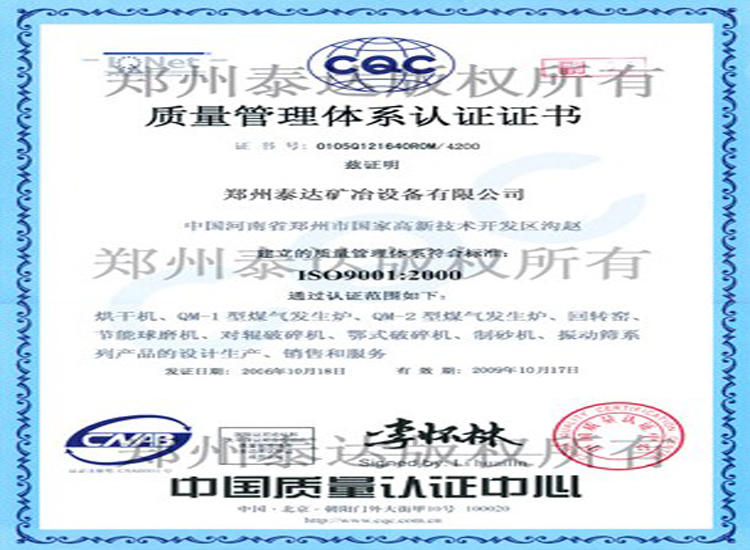 l Adopts heat conduction oil as heat media: paddle dryer can realize incineration operation in a low temperature. For example, after being incinerated, Ca2SO4·2H2O is transferred into Ca2SO4·1/2H2O. NaHCO3 is transferred into Na2CO3. l Put cooling media into machine such as water, cooling salts and etc. there are some machines for cooling such as paddle cool alkali machine which has replaced the old type air cooling alkali machine. Energy and tail gas treatment are saved. Operation cost gets saved too. This machine also can be applied to cooling titannium pigment, nickel iron alloy powder and other powder materials. in one single machine, the temperature of materials can be cooled from 1000 degree Celsius to below 40 degree Celsius. 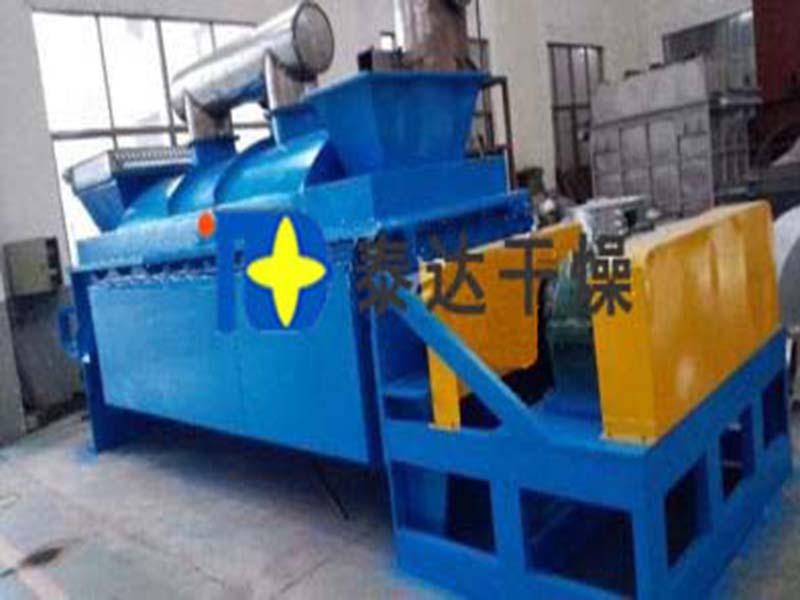 l The main functions of drying equipment: can recycle solvent without using hot air; can achieve the best situation for energy consumption and environment; especially can be applied to materials which are thermal sensitive; has been widely applied to fine chemical industries, petrification and dye industries. l Uniform moisture, temperature and mixture can be achieved in axial interval, which makes the equipment used for heating and melting or some solid material reaction. 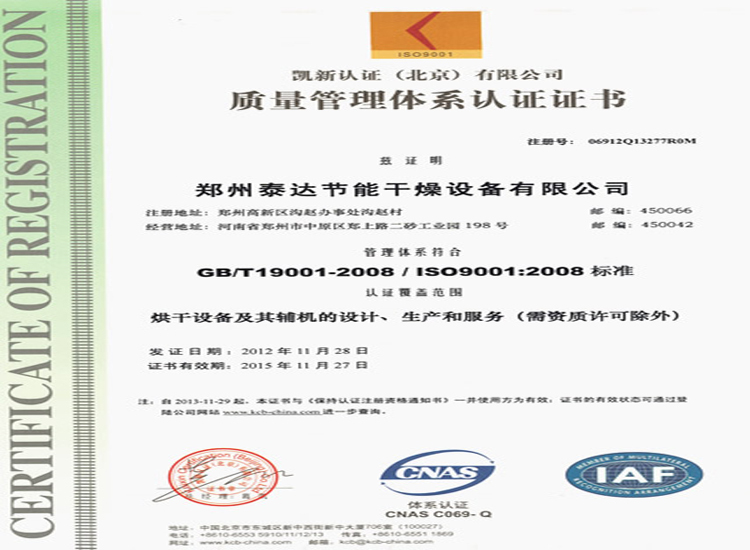 It has also been used in compound fertilizer and modified starch industry. 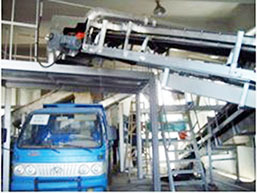 Paddle dryer can be used to sterilization disposal of food and flour. Big heat area can heat materials to the temperature proper for sterilization. The quality of materials will not be changed. Petrochemical industry: Polyolefin powder, panlite, high and low density polythylene, linear low density polyethylene, polyacetal granule, nylon 6, nylon 66, nylon 12, Cellulose acetate, polyphenylene ether, allyl resin, engineering plastics, polyvinyl chloride, polyvinyl alcohol, polystyrene, polypropylene, polyester, poly formaldehyde, styrene acrylonitrile copolymer, ethylene propylene copolymerization. 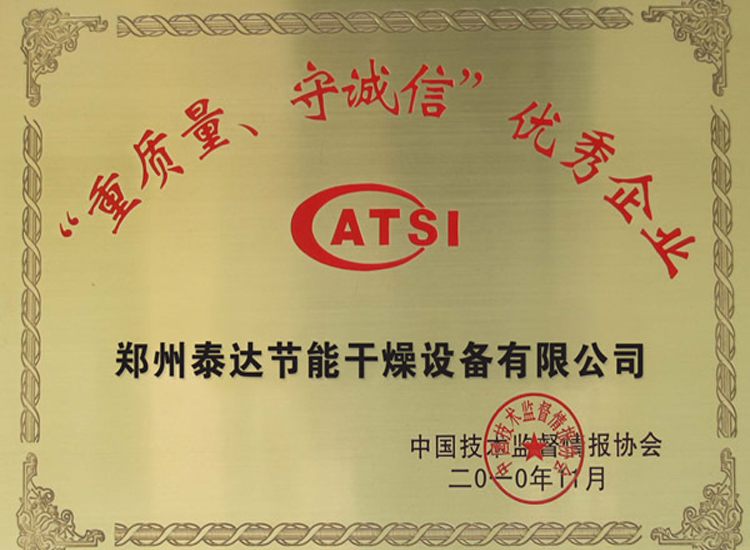 Environmental protection industry: PTA sludge, electroplating sewage sludge, boiler soot, waste residue in pharmaceutical factory, sugar residue, waste residue of monosodium glutamate factory and coal ash. Feed industry: soy sauce residue, bone base feed, vinasse, food scraps, pomace, orange shell, bean pulp, chicken bone feed, fish meal, feed additive and biological sludge. Food industry: starch, cocoa bean, niblet, table salt, denaturated starch and medicines. 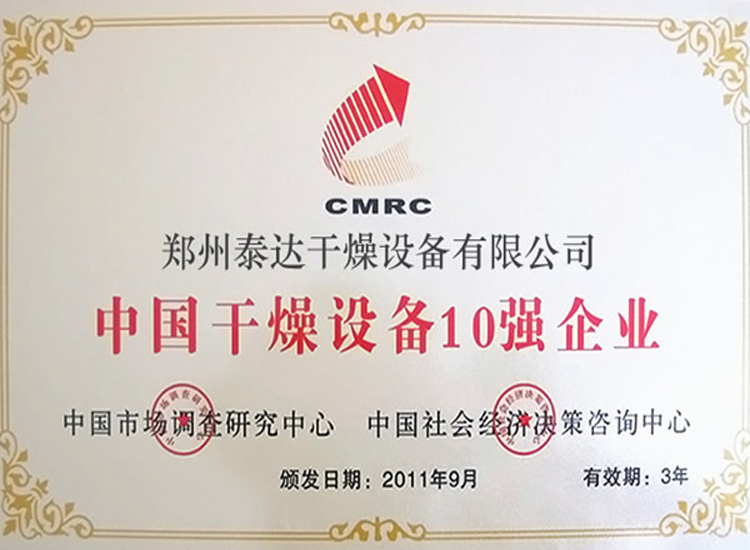 Chemical industry: sodium carbonate, compound fertilizer of N, P and K, kaolin, bentonite, carbon-white, druss, phosphogypsum, sodium fluoride, lime nitrate, magnesium carbonate, sodium cyanide, calmogastrin, barium sulfate, annaline, calcium carbonate, dyes, molecular sieve and saponin.